A central point of controversy among both academics and policymakers is the nature and significance of security in the post-Cold War world. 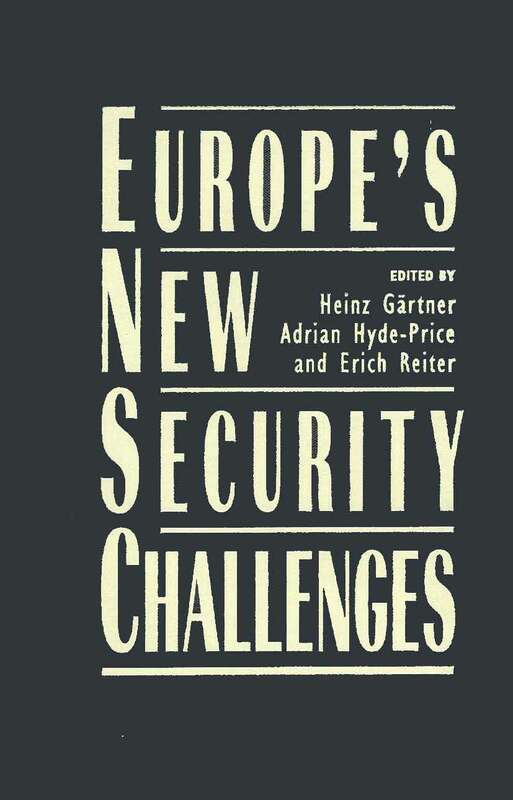 Engaging that discussion, this original collection explores the new security challenges facing Europe. The authors assess the relevance and usefulness of various actors and various approaches for tackling those security challenges. Seeking to avoid dichotomous thinking, their nuanced efforts probe the areas of ambiguity and complexity between war and peace, conflict and cooperation, "hard" and "soft" security, and state and society. Heinz Gärtner is senior researcher at the Austrian Institute for International Affairs and professor of political science at the University of Vienna. His Models of European Security was awarded the prestigious Bruno Kreisky Award. Adrian Hyde-Price is senior lecturer at the University of Birmingham, England, based jointly at the Institute for German Studies and the Centre for Russian and East European Studies. His publications include European Security Beyond the Cold War: Four Scenarios for Europe in 2010 and The International Politics of East Central Europe. Erich Reiter is Professor of international economic and social relations at the University of Graz, Austria; he has also served as commissioner for strategic studies and head of the Institute for Military Science at the Austrian Federal Ministry of Defense. He is author of numerous publications, including Neutralität: Mythos und Wirklichkeit.